Earlier this year, the young children designed bench and plant concepts as part of an exciting eco school playground project. 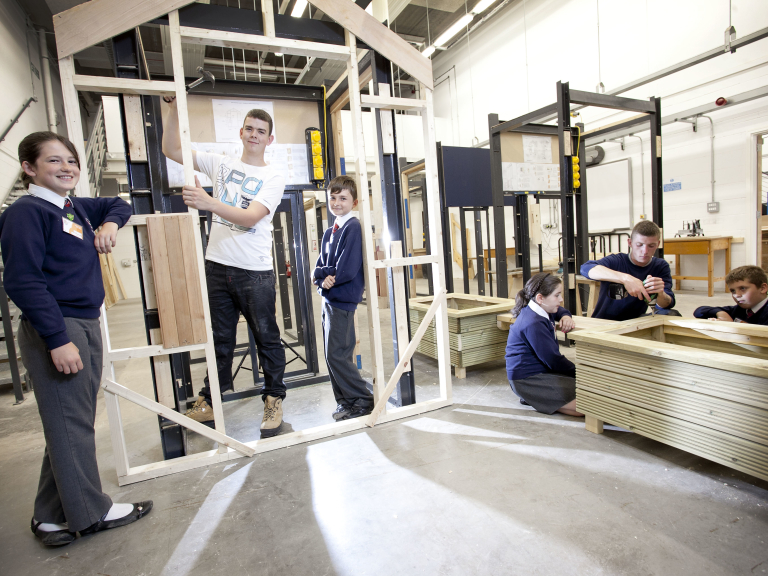 Level 3 students from Bolton College’s Carpentry and Joinery Diploma course are now getting to work to construct the outdoor structures. 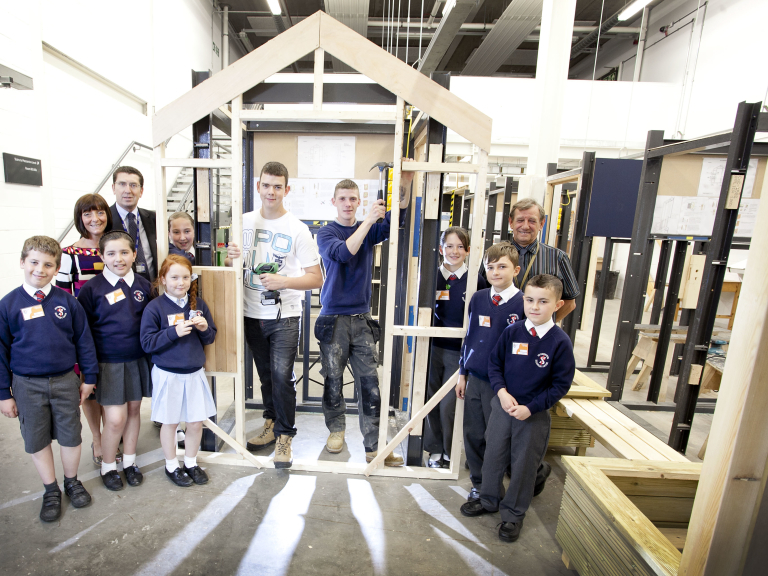 The pupils visited the construction department at Bolton College to see their creations in the making and learn more about the process involved – taking the initial design and developing it into the end result. The school pupils also got a lesson in the environment and sustainability, with the structures being made from ethically-sourced timbers. Tony Quick, lecturer in timber trades at Bolton College explained: “The project is mutually beneficial for both the school and our College. The pupils at St Stephens have thrown themselves into designing the playground furniture and can’t wait to see the finished product. The students at Bolton College are constructing all equipment and materials in accordance with the Playground Equipment Standards. Next term, as part of St Stephens School centenary ccelebrations, the students will be making and installing a storyteller’s chair made out of 100-year-old oak. St Stephens School headteacher, Mr Tony Lasan, said: "This project has been a great example of partnership working, with benefits for both the school and the College. As well as gaining an insight to the opportunities at Bolton College, the children are thrilled with the final construction, which will provide a focal point for the work of the school's Eco Team. Our sincere thanks go to Tony Quick for his excellent management of the project"
Tony Quick hopes this will be the first of many more collaborative, practical projects that Bolton College will undertake in partnership with schools and organisations in the community.